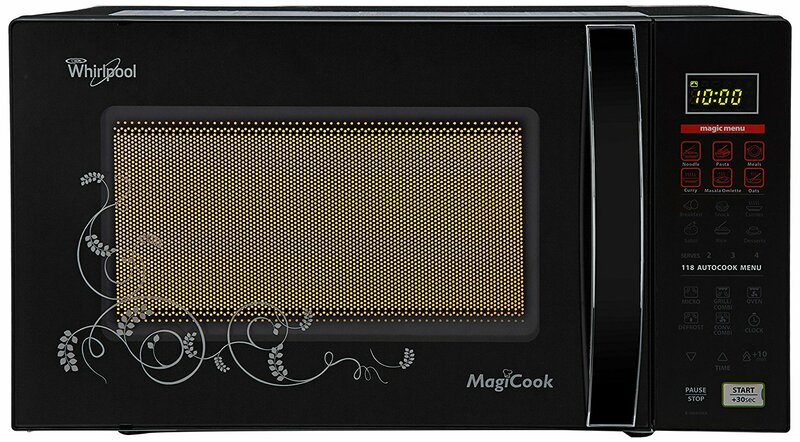 Whirlpool 20 L Convection Microwave Oven (Magicook Elite-20L, Solid Black) has impressive features to meet your various cooking needs. It comes with 118 cook menus giving you good flexibility to cook whatever you want with the press of just a button. Further, it has 245-mm turntable that is a good size to fit most kitchens. 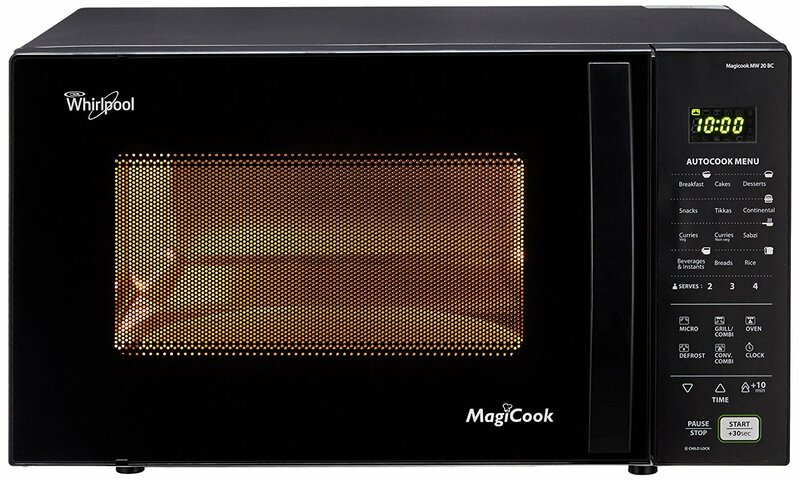 It comes with advanced features including LED display, multi-stage cooking, combi cooking, various power levels and auto reheat, convection combi-mode, grill combi mode. 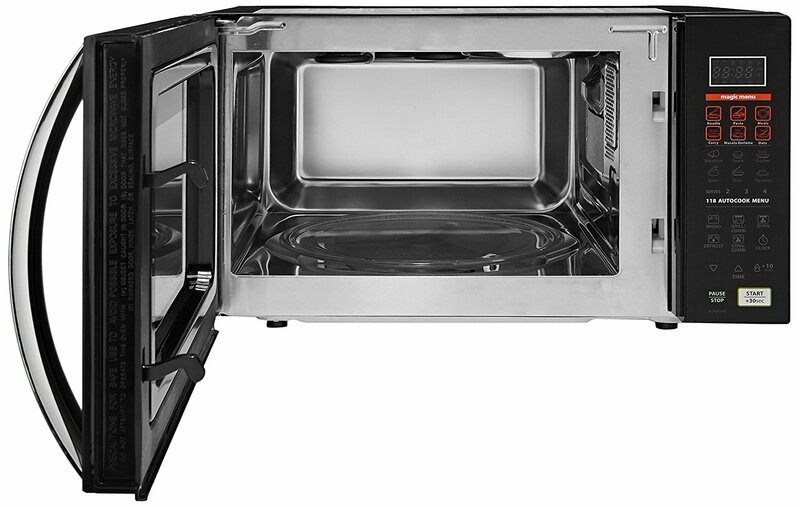 The microwave cavity is made of high grade stainless steel material that is also very easy to clean also. 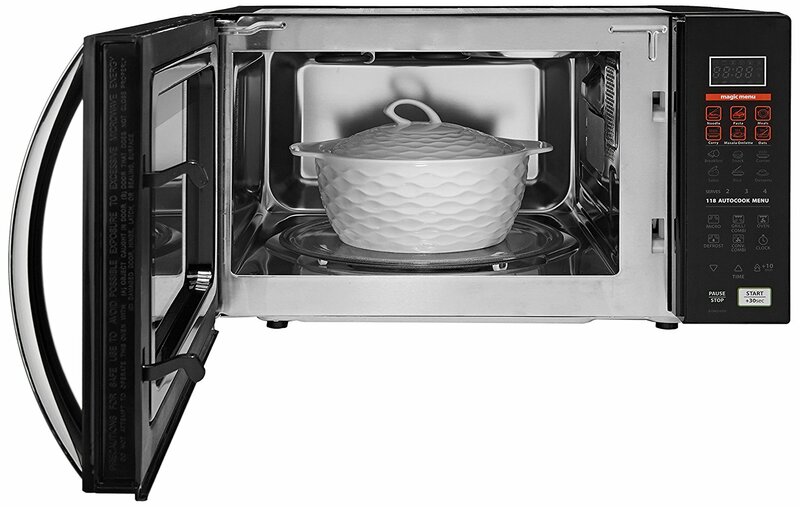 Whirlpool 20 L Convection Microwave Oven has 6 pre-programmed magic menus for the fastest meal preparation at the touch of a button. On the other hand, it comes with 118 auto cook menus to delight your family. 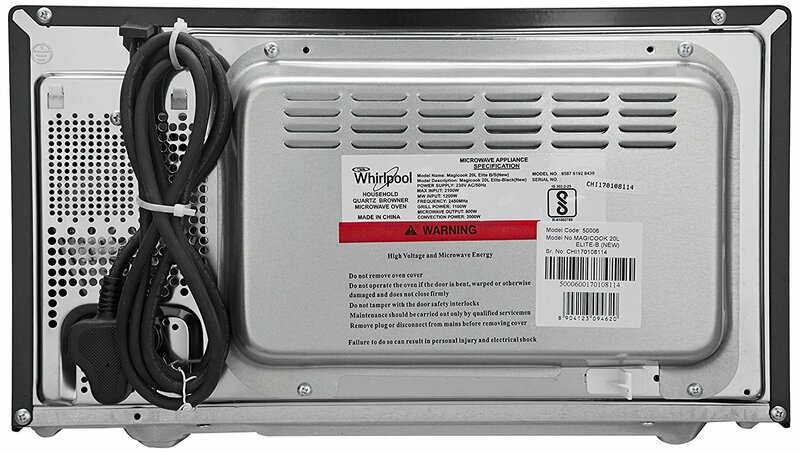 Amazingly, this Whirlpool convection microwave oven uses double grill mechanism as it has micro-chip controlled quartz heater along with sheath heater for fast grilling and browning. Apart from this, it has 245 mm turntable to cook large quantity of food items. 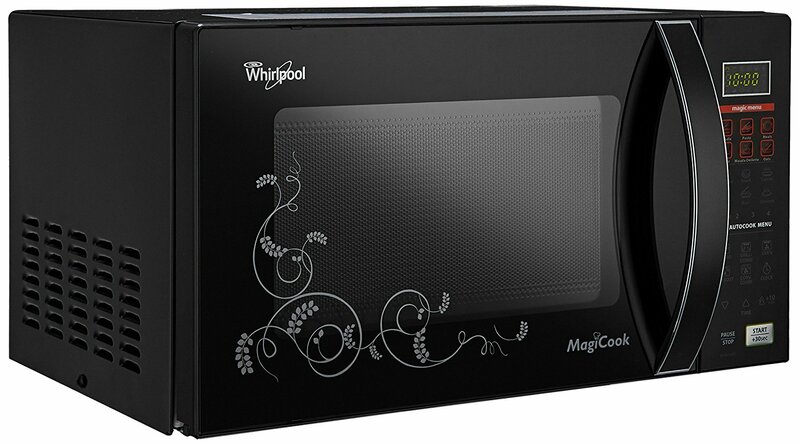 Whirlpool convection microwave oven with 20 litres capacity comes with multi-stage cooking capability that is good for automatic cooking sequence. And with the combi cooking, you are able to choose different combi cooking modes to cook your desired dishes.